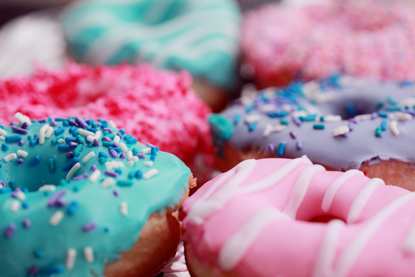 With the heightened awareness that eating too many sugary foods is bad for us, but ditching the donuts seeming nigh on impossible for many, it is natural to wonder if sugar can cause our feline friends the same dietary dilemmas that it causes us. Due to their physiological requirement for a meat based diet, cats appear to be one of the few animals on the planet that cannot taste sugar. Although they have taste buds just like we do, the receptors on their tongues that are responsible for detecting sweetness are not particularly sensitive. This lack of an ability to detect sweetness means that the lucky things are not plagued by a sweet tooth! Instead, a cat’s taste receptors are programmed to detect and react to meaty flavours as it is this that drives their appetites and food choices. This makes a lot of sense as cats are carnivores and must eat meat in order to stay fit and healthy. As cats do not have a biological need to eat sugar or carbohydrates there has been no need for them to develop a taste for it! Unlike humans, for whom carbohydrates and sugars do play an important part of the diet, cats are not drawn to this source of quick energy. Of course there are always exceptions to the rule and there may be some of you out there who are convinced your cat is partial to a piece of chocolate or will do anything for a lick of your ice cream. But it’s probably not the sweet taste they are attracted to, rather it is highly likely that it is the fat content they are enjoying. 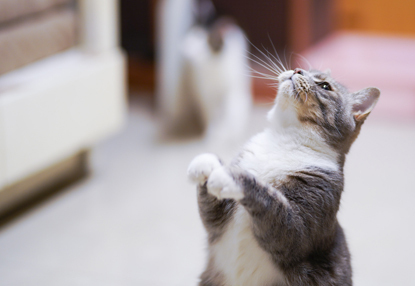 Avoid giving your cat sugary foods, even if they beg! Bear in mind too that one of the most popular sugary treats of all, chocolate, can be lethal for cats. Although most cats won't eat it on their own, they can be coaxed to eat it by owners who think they are giving their cat a treat. There is a toxic agent in chocolate called theobromine and eating this substance can cause heart problems, muscle tremors or seizures in cats. While all forms of chocolate are poisonous, the worse culprits are the ones with the most concentrated form of chocolate such as dark chocolate and any unsweetened chocolate such as the type used for cooking. Chocolate also contains caffeine which is another poisonous substance to cats. To keep your cat healthy, don't feed them sugary foods. Although sugar isn't toxic to cats, it brings zero nutritional value, can cause obesity and lead to dental disease and diabetes, just like it does in humans. Instead, take a look at our advice on what you should feed you cat here.